One of the best ways to achieve your goals, exercise or otherwise, is to make a plan. In my own experience, having a plan helps me stay on track and motivated. This is especially true for those who are just beginning with rowing, but I think everyone who rows will be better off with a plan. If you don’t know where you’re going, you won’t know how to get there. I have put together this guide on how to set up a personal rowing workout plan to help you achieve your fitness goals. No individual plan will work for all people. 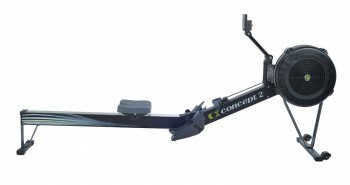 When creating a rowing workout plan, keep your individual needs and limitations in mind. I would advise you not to copy a random plan found on the internet simply because it sounds good. What will work for one person may not be best for you, so creating your own plan is a good idea. Your age, level of fitness and personal workout goals are all things that you should take into consideration. The advice I will share in this article is to be used as a foundation on which you build your own plan; you should feel free to alter it along the way as you see fit. Before launching your workout regimen, check with a health care provider to make sure it’s safe for you to exercise. 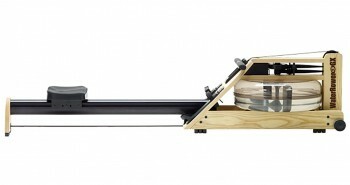 You should start creating your rowing workout with a clearly defined goal. Do you want to lose weight? Do you want to build muscle? Or do you want to focus on improving your cardiovascular health? If you want to lose weigh,t for example, you will want to focus more on burning calories and if you want to build muscle, you should be more focused on incrementally increasing the resistance level of your workout. So start with a clear goal so that you know what you want to achieve when you are making your plan. As with any kind of exercise, it is important that you warm up for at least 5 minutes at the start of your workout, and you should also cool down for the last 5 minutes. Your regular rowing workout routine should always start with a warmup session to prepare your body for the workout ahead and end with a cooldown so that your body can recover. Maintaining proper form during your workout is also very important for you to prevent injury. If you are uncertain about the proper rowing form, you can see my article here. 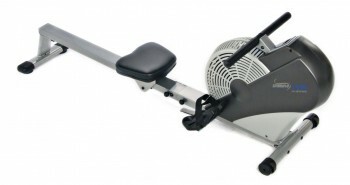 How much time do you have to devote to your rowing workout? You should ideally row for 30 to 60 minutes, 3 to 5 times a week. To make it easier on yourself, I would suggest that you decide from the beginning which days and at what times you will be able to exercise. Once you have chosen the days and times for your rowing workouts, write them down, preferably on a calendar, and make a mental commitment to work out on those days and times, no matter what. It’s easy to be distracted and there will always be other things that you need to do, but if you are to achieve your fitness goals you need to be dedicated and stick to your workout times. Ideally, you should choose a dedicated workout space as well. 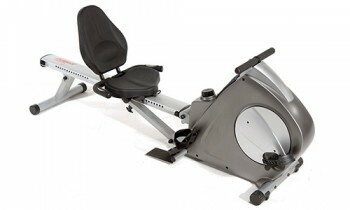 You can time your intervals or measure them by distance rowed. For example, you may do 2-minute intervals at the different levels of intensity or you may row for 500 meters at each level before changing to the next one. As you get stronger you can gradually increase the length/distance of the intervals as well as the resistance level, but you should always start small and gradually work your way up. Some rowers come with preset workout programs on their console monitors and some will let you create customized workout program. The preset programs can be helpful if you don’t want to make your own, but be sure not to overdo it. Start with a program that is manageable for your current state of fitness. I recommend that you keep a journal to record your progress. This will help you to see how you are doing and identify any areas that you may need to work on. It will also help you to stay motivated as you work toward achieving your fitness goals. In your workout journal, you will record details such as the length of your workout session, the timing for each interval and your average number of strokes per minute. Being able to look back and see how far you have come after you have been rowing for a while is a great confidence booster and it can inspire you to reach for and attain even higher goals. Rowing doesn’t have to be boring, There are several things you can do to make your workout more interesting and more fun. I like to watch TV while I’m rowing and catch up on my favorite shows. This provides me with a welcome distraction and I find that I also tend to row longer while I’m watching TV. 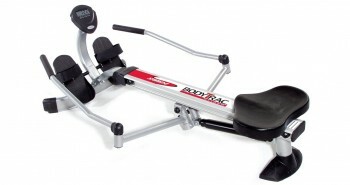 Some people like to listen to music and others like to play games (some rowing machines have monitors with games on them) during their rowing workouts. There is no one workout plan that will work for everyone. You can use the information I provide in this article to create your own workout plan that will take into consideration your age, weight and health status among other things. After you create your plan, I cannot emphasize enough how important it is that you stick to it. No matter how much time and effort you put into making it, your plan will be useless if you don’t put it into action and keep going until you achieve your goals.